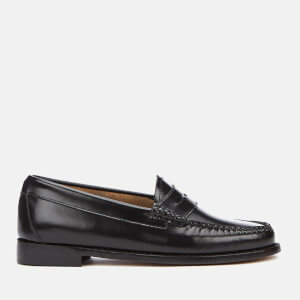 Women’s black leather loafers from classic American shoemakers G.H. Bass & Co. 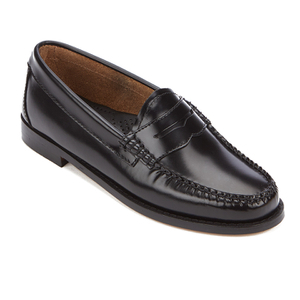 Expertly hand crafted from premium polished leather uppers, the slip on shoes comprise a classic hand-stitched penny loafer toe and a panelled detail to the vamp. 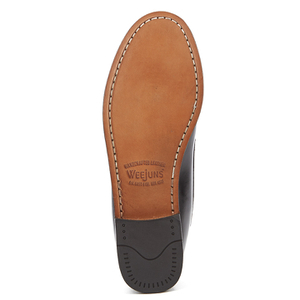 Featuring heel to heel welt stitching set on a tonal leather sole with rubber heel for added stability. 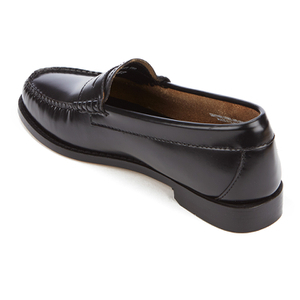 Complete with cushioned leather heel sock for comfort with gold foil embossed branding. Upper: Leather. 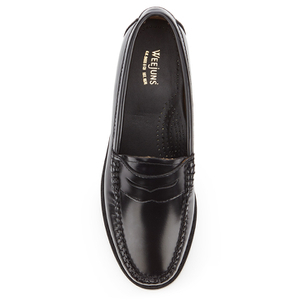 Sole: Leather and Rubber.